In anticipation of the upcoming event in which I’ll be participating on Culture Night, 18 September 2015, I’ve written a piece for Writing.ie which discusses the idea of fiction that is inspired by reality, or in this particular case, by a photograph. 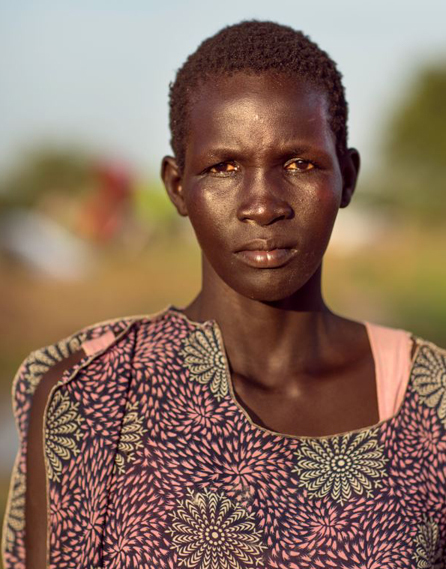 The photograph I received was a moving portrait of a South Sudanese refugee taken by conflict and field photographer Kieran Doherty, who was named earlier this year by TIME Magazine as “one of nine Irish photographers to look out for”. Since the outbreak of civil war in December 2013, Sudan remains one of the world’s biggest humanitarian crises. Over 2 million people have fled their homes, of which over half a million have sought refuge in neighbouring countries. To read the article, click here; for coverage in The Irish Times, click here; information on the event itself, you can read my previous blog post here. Most of all – don’t forget to donate to Oxfam if you can, to actively support refugees like Kuir. The current crisis of refugees in the Mediterranean has crowded our screens over the last few weeks with heartbreaking press images of refugee families, children sodden with seawater, clamouring aboard rescue vessels, sitting in holding camps and worse. 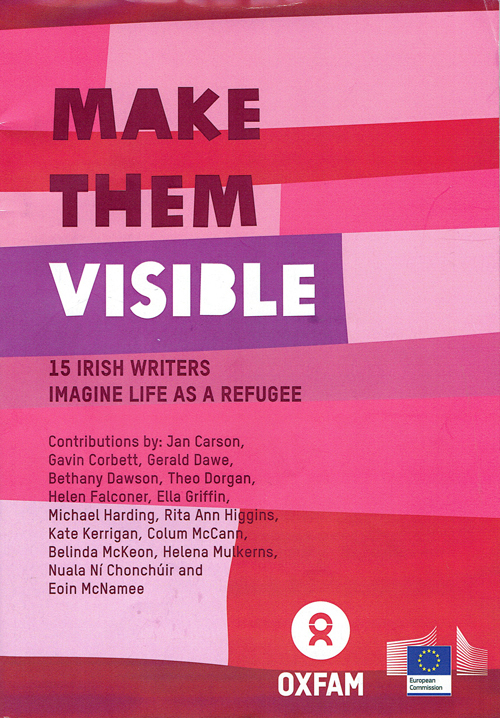 Oxfam’s DONATE page gives an opportunity for Irish people to help out, but its outreach efforts recently took an new and innovative turn when they produced a handsome pamphlet featuring work by fifteen Irish writers, who were asked to each write a short piece inspired by an individual photograph depicting a refugee or refugees, taken by international field photographers. Colum McCann, Ella Griffin, Eoin Macnamee, Kate Kerrigan, Belinda McKeon, Gerald Dawe, Nuala Ní Chonchúir, Theo Dorgan, Rita Ann Higgins, Helen Falconer, Jan Carsen, Michael Harding, Bethany Dawson, Gavin Corbett and myself all contributed. This project will be presented at a very special event on Culture Night, in Dublin’s Oxfam Bookshop on Parliament Street, with an exhibition of image by contributing photographers Kieran Doherty, Gabrielle Piquot, Pablo Tosco, Sam Tarling, Vincent Tremeau, MacKenzie Knowles and Oriol Gallard. And of course – don’t forget to donate to Oxfam’s crucial work HERE.